Taught by Carol Murphy and Dan Morgan. Together we will bring you on a journey of transformation and fun. Carol Murphy has been teaching yoga for 20 years and training teachers for 10 years internationally. Dan Morgan is an inversion specialist as well as an established, up and coming yoga teacher with a background in a multitude of disciplines including; rock climbing, gymnastics, calisthenics, mixed martial arts, meditation. Together they bring a wealth of experience, information, talent and all the tools necessary to deepen and strengthen your practice in addition to preparing you to teach Vinyasa yoga with creative intelligence and professionalism. 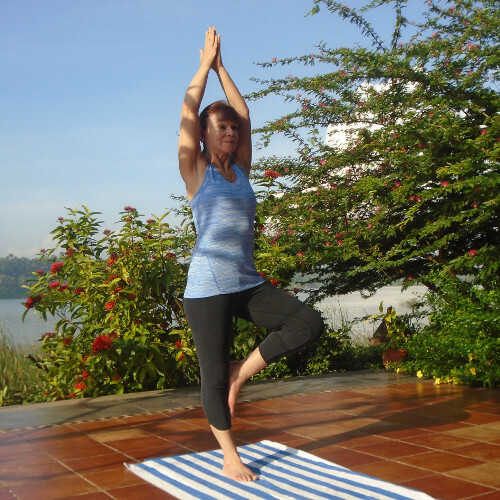 The discerning travellers who look for more than holidays in India have always appreciated Yoga at Fragrant Nature. It is undoubtedly an idyllic destination for those seeking an authentic Yoga experience, well beyond a normal retreat. Along with the Yoga sessions, we have a choice of Ayurvedic therapies, in consultation with our in-house Ayurvedic Doctor. A precise yoga and meditation program is then tailored for you to assist balancing your health and well being. Yoga sessions in the serene backdrop of the lake are just magical. Packages include daily yoga sessions, meditation sessions, accompanied by consultations with the Doctor and Yoga master. 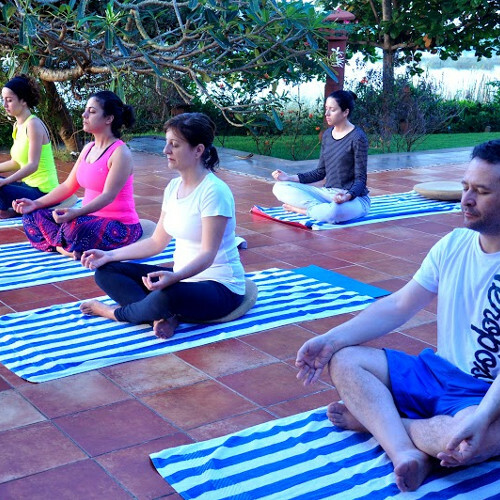 These yoga packages are specially crafted to cultivate our inner spiritual life and include a medley of Asanas, Pranayama, Yogic Kriyas, Yoga Nidra (deep relaxation) and Meditation. Personalised counselling to correct ones postures, lifestyle and habits are integrated in the course. The calm village backdrop and the breeze from the lake accentuate the experience multifold. Though one is transcended into a yogic experience, he or she is never denied from the comforts of daily luxuries that are part of our life, and this is unlike in many yoga retreat centres. Breathe in and breathe out slowly, you are in heaven ! There are multiple locations to choose within the six acres of land, for those who likes to meditate. One could be guided to relax the mind, concentrate and immerse in the peaceful bliss. Yoga at Fragrant Nature is a travel into your own self, finding the “peace” in you and radiating it all around. Our staff is trained to offer you a sensory journey traversing much beyond the mundane chores of busy lives.